With Apple always looking to find new ways to make their iPhones better and slimmer, the company has filed yet another patent. 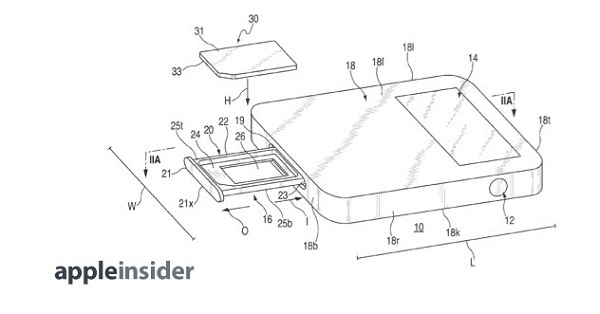 According to an application filed before the USPTO, Apple has claimed for a patent for a new SIM card tray that would eliminate the need for the ejector mechanism and hold the SIM card in place using magnets. The current SIM tray, which uses a mechanical process to hold the SIM card, raises the risk of dirt and dust entering the phone through the opening. The magnetic SIM tray would not just keep the dust away, but would also make the SIM tray lighter than the existing one, thus helping the company to further create more new designs for the devices. Apple however has a mission to replace all mechanical processes with automatic ones to make it look even more innovative.